AMERICAN FIRM AVON Cosmetics has ceased all trading in the Republic of Ireland from today. More than 400 people in Ireland had been working for the company, which is abandoning or restructuring smaller or underperforming businesses in Africa, the Middle East and Europe as part of a cost cutting plan. 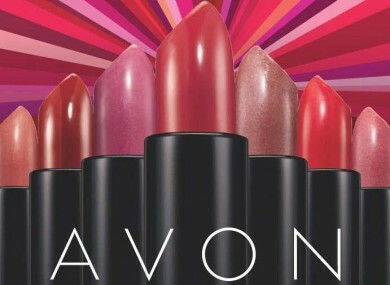 The company said today that the job cuts, which equate to about 1 per cent of Avon’s 39,100 employees, will occur across all regions and segments. In a statement to TheJournal.ie, the company said Avon is “concentrating resources on those activities and markets which have the greatest growth potential”. It is part of a turnaround plan under CEO Sheri McCoy, with the goal of achieving mid-single digit percentage revenue growth and $400 million in cost savings by 2016. Today McCoy said these steps take the company closer to its cost-savings goal. Avon expects to complete almost all the cuts before year’s end. The New York company will take charges of around $35 million to $40 million before taxes and expects annualized savings of between $45 million and $50 million. The jobs cuts come on top of the 1,500 positions trimmed in December, when the company announced that it was exiting Vietnam and South Korea. The direct seller of beauty products has been struggling to turn around its business at home and in emerging markets. It has also wrestled with a bribery probe in China that began in 2008 and has since spread to other countries. In its most recent quarter, Avon Products Inc posted a wider fourth-quarter loss as it marked down the value of its Silpada jewelry business and restructured. It was still better than Wall Street had expected, however, and McCoy, who took over Avon one year ago, said there were signs that business was stabilizing. A short statement on the company’s Irish website today advises customers to contact their local representative. Email “Avon Cosmetics ceases trading in Ireland, cuts 400 jobs ”. Feedback on “Avon Cosmetics ceases trading in Ireland, cuts 400 jobs ”.